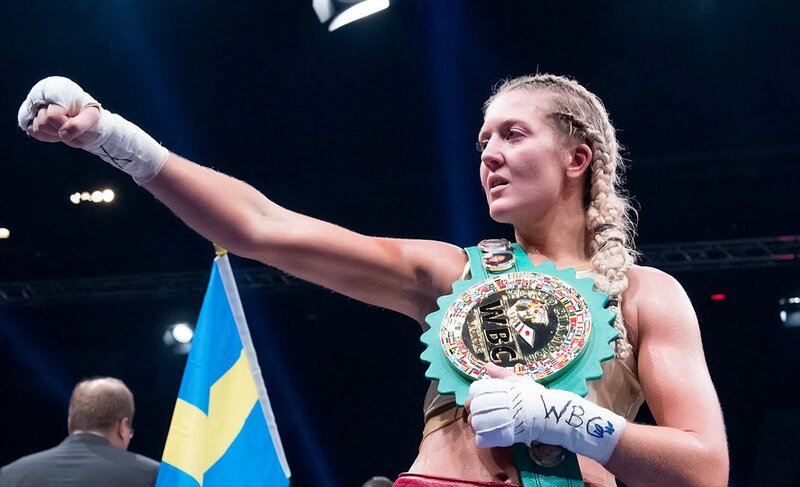 Swedish boxing star Klara Svensson (17-2, 5 KOs) will make her long-awaited ring return on Saturday in an eight-round welterweight contest against Mari Tatunashvili (2-1-2, 1 KO) at the Inselparkhalle in Hamburg, Germany. The 30 year-old from Malmo has been out action following her World title loss to Unified Welterweight Champion Cecilia Brækhus in Oslo on February 23, 2017. Svensson has since moved to Berlin where she has joined forces with Brækhus’ former coaches Ulli Wegner and Georg Bramowski, and says she is now ready for a ‘new beginning’ as she targets a rematch with the Norwegian champion. “I’m eager to get back under the limelight,” said Svensson. “After the Brækhus fight, I decided to take some time off, but now I’m ready to come back. I’ve made some changes and I have a new team around me so this really feels like a new beginning. “I’ve always enjoyed boxing in Germany, and Hamburg is where I started my professional career so it feels right that this fight is happening here. I’m looking forward to getting back in the ring and testing out some of the new things we’ve been working on in the gym. Svensson meets Tatunashvili on the undercard of the WBA World Super Middleweight Championship rematch between Tyron Zeuge and Isaac Ekpo at the Inselparkhalle in Hamburg. Swedish fans can watch all the action live on Viaplay Fighting.